One of the latest to enter the tech trade-in fray, online retailer Amazon recently expanded its trade-in service to include gadgets such as tablets, phones, MP3 players, and cameras. Users looking to get rid of old gear will receive reimbursement in the form of store credit deposited directly into their Amazon accounts. The site sends you a box and a label to cover the cost of shipping. BuyBackWorld covers the basics, letting you sell old gadgets or donate them for recycling if they’re not worth anything. When you visit the site you’re greeted by a video avatar, which offers the basic directions. This site looks the least professional in terms of the design, but it also offers a referral program where you can make $10 for every $100 worth of electronics that one of your friends sells. This site will accept cell phones, smartphones, digital cameras, MP3 players, eReaders, game consoles, GPS devices, and all Apple products. BuyMyTronics promises to wipe all personal data before the devices are recycled. The service covers the cost of shipping and then pays you via check or PayPal. BuyMyTronics also offers a unique fundraising option; the site will send you a giant box that you could place, say, in the middle of an office space. People can then deposit their old gadgets in the donation box. When you’re done, you mail it in using the pre-paid shipping labels. You can then have the funds sent directly to your charity of choice, along with a 5-percent bump, courtesy of BuyMyTronics. Thanks to an aggressive advertising campaign and excellent service, Gazelle is the most prominent company in this space; it handles the trade-in program for Walmart, where you can get store credit for your old gadgets. In addition to buying your gadgets (everything from laptops and eReaders to Blu-ray players and video games) for cash, Gazelle allows you to send them in for recycling. However, the service won’t pay for shipping if your device is worth less than $1. The site also has a charitable side. You can organize a gadget drive, where a group donates its old gadgets to Gazelle, with the proceeds from the sales going to a charity of your choosing. And if you’re in Boston, you can drop off the gadget directly at the Gazelle office. Helpfully, NextWorth offers in-store drop-off. You can take your used cell phones, cameras, game consoles, DVDs, and other gear into one of 850 more than Target stores nationwide, and exchange them on the spot for either a gift card or store credit. If you’re in range of a Target, it’s hard to beat that level of convenience. YouRenew offers the basics in the cash-for-gadgets space, and its claim to fame is that it’s the “easiest, fastest, and greenest way to turn your old electronic devices into cash.” If your gadget isn’t worth anything, or if you don’t want any money, you can simply turn it in and recycle it. For every device YouRenew takes in, the company lets you choose between a donation to Carbonfund.org (one metric ton of carbon offset per 20 recycled devices) or Americanforests.org (one planted tree for every four YouRenew customers who choose this option). YouRenew also offsets all its carbon emissions through CO2stats.com. This weekend, we took a 4 day trip to Maryland. It was great, we went to Baltimore Inner Harbor, got on top of the World Trade Center to see all of Baltimore laid out in-front of us in 360 degree view. 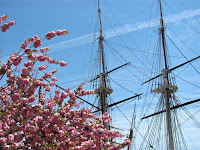 We also went down to Annapolis and visited the Naval Academy as well as the town, even though it was pouring all day. And relaxed across the bridge in Tilghman Island and Kent County. All in all it was a great road trip. And you know it was scenic as my wife took 510 photos in three and a half days. That is around 146 shots per day. I thought it was quite a bit. We had the Canon Powershot camera I mentioned in the last post with us. And we took along our "new" rechargeable battery charger set including the 4 batteries that it came with. I would like to report that it was an awesome gadget purchase and it was great to have on the trip. We only had to switch the batteries twice while actually walking around. Which is in itself a wonder as the camera usually goes through a lot more changes. On the third day of the trip my wife even said that she was surprised and impressed how long these batteries lasted as compared to regular batteries. We put not yet used batteries into the camera and charged the other 2 in the evening and were set to go. Moreover, as we do a lot walking we like to travel light, so having only 2 batteries on stand by in my pocket was great. I do not usually recommend any products. 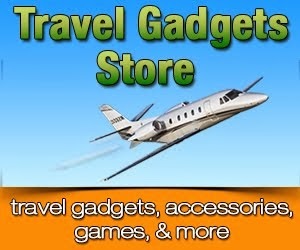 In my posts I am looking to describe the coolness and usefulness of gadgets on a trip. However, I am partial to the camera that we have in terms of the quality of pictures that it takes, the ease of taking them, and the awesome resolution of those pictures when printed or on computer screen. The latest version of the digital camera we have is Canon PowerShot SX130IS 12.1 which comes with 12x optical zoom compared to our 10x which was the only option at the time. This camera is not the smallest, slimmest, or cutest, but it is one of the better point-and-shoots I have seen. Laptopmag.com review: "Big zoo, small price. This 10X optical zoom camera is perfect for soccer moms (or dads) who want to get that perfect shot from afar. The SX120 IS also has a large 3-inch screen for framing and reviewing your 10-mp photos, optical image stabilization (IS), and motion detection for blur-free pics. If your friend isn't tech-savvy, have no fear, the Canon has Smart Auto mode and Easy mode, so that anyone can get the best shot without having to tweak the settings." My wife loves taking pictures. It is her hobby. It is really a great thing that the digital camera was invented since she takes hundreds if not thousand of pictures when we go on a trip. Can you imagine all of the rolls of films or the cost of processing those? When going on longer trips or tours that would be better taken in without a lot of bags to drag around, we take along with us a point-and-shoot camera. Ours is a Canon Powershot SX120 SI, which is a great camera to have when cannot shoot with a DSLR. It is far better than most "lighter" digital cameras with a 10x optical zoom. The drawback of this and most other digital cameras are the batteries that you have to take a long on a trip. While we really like this camera and it produces great pictures, it eats a couple of batteries for breakfast lunch and dinner. So we had to take with us quite a few spare batteries in the luggage. And with all of the weight restriction these days at the airport this extra weight does not help. Then, a couple of months ago with had a Eureka! moment. We can use rechargeable batteries. I used to have one of those recharging stations quite a few years ago. It was bulky, not that easy to use, and would not charge the batteries that well. So based on these pre-conceptions, this idea did not pop-up right away. However, with all of the improvements and innovation in technology, we figured this gadget had to change as well. As we do with any purchase, we began our research to figure out what is out there and what would be the best lightweight and quick portable battery charger that would also give us the best bang for our buck. To our surprise and great benefit, what we found to be the better of the bunch was not a main brand name, but a lesser known one, that had a lot of the features that we were looking for at a great price. We chose Sanyo Eneloop 4 Pack Rechargable Set . It received great reviews from users and rated high for fast and complete charging. It is lightweight and easy to store as you can fold the prongs into the casing. And at just over $11, it is a great travel gadget to throw in a bag for next trip. We have already used it on several occasions and it is great to not have a baggy of 20 plus batteries weighing down. It also keeps our camera nice and full. It still uses up the power quickly, but the batteries can be recharged just as quickly 4 at-a-time, and it has worldwide voltage so can charge just about anywhere. And we spend a lot less money on getting new ones every so often. Did You Know? : Some batteries may contain mercury and need to be properly disposed off and/or recycled. Recycling batteries keeps heavy metals out of landfills and the air. Recycling saves resources because recovered plastic and metals can be used to make new batteries. Video below is from Smarplanet.com. It shows some of the newest gadgets that make your travels a bit more green. I especially liked the filtered waterbottles and the water clock. 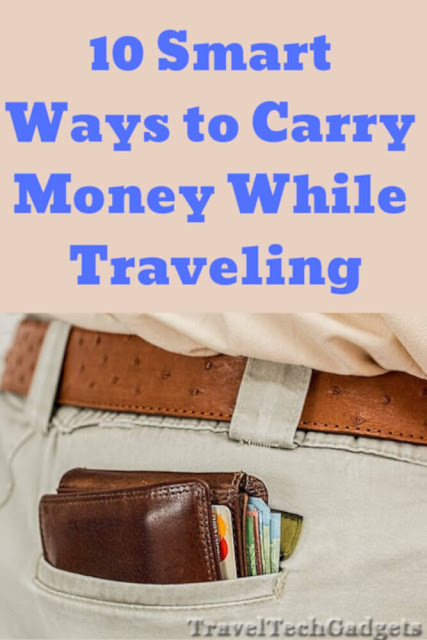 These two are great to have with you on any trip as they both utilize a resources that is readily available in a lot places around the world, tap water. Fill up the water bottle with the twater straight from tap, and as you drink the filter at the top of the water removes impure particles. The great tip in the video is to take this type of water bottle to the airport where you can drink it, emty it out, before the check point, store it away, and then fill it back up on the other side. Awesome! Bedol Water Alarm Clock is the other travel gadget that uses tap water. 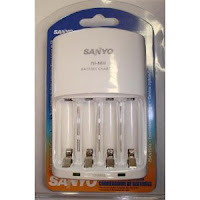 There is no need to plug it in or use the batteries, it works by converting ions in the water to electricity. And it is great to transport as it is lighter without any water in it. Which ones are your favorite and/or find most useful?